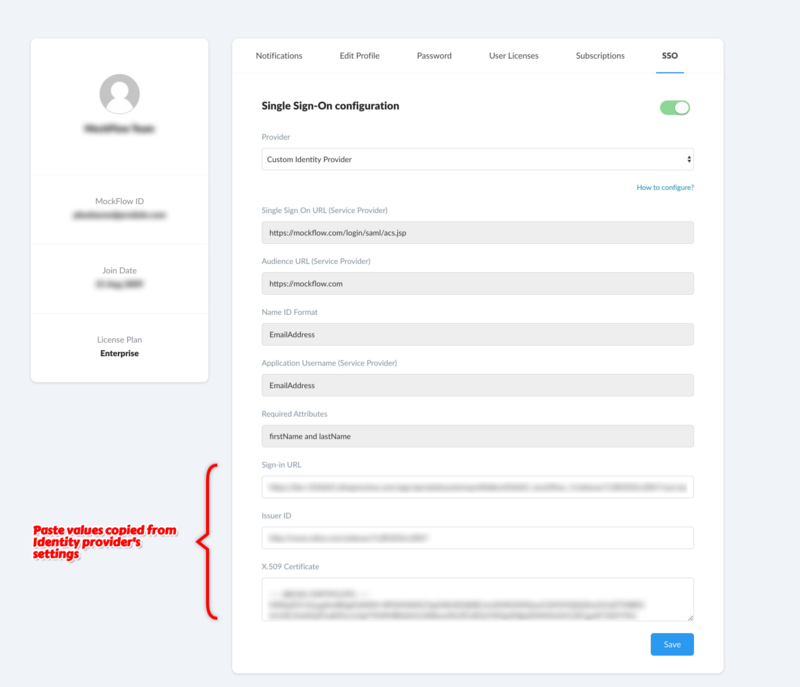 You should have an active MockFlow Enterprise license to integrate MockFlow with any third party Identity Provider that supports SSO/SAML. 1. 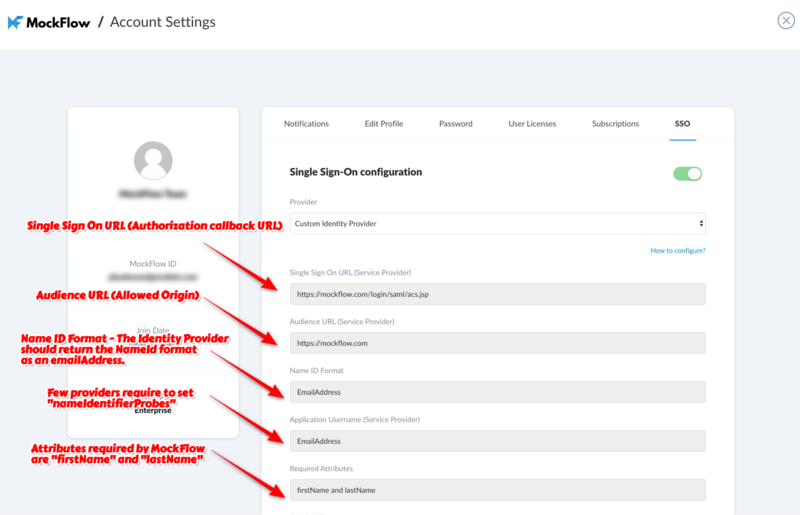 Login to MockFlow as enterprise admin user. 2. 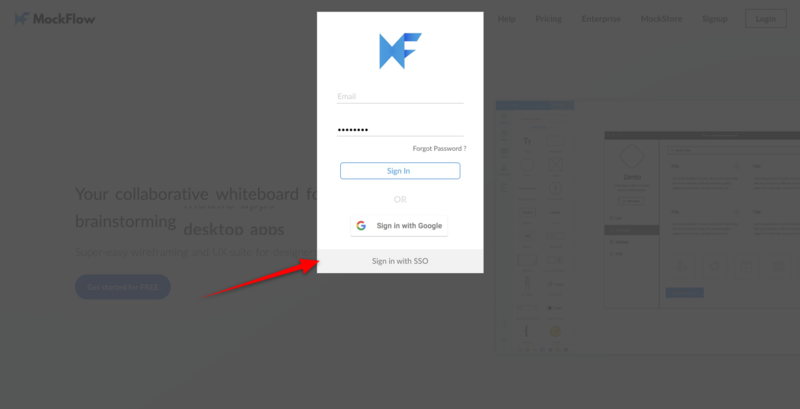 Under "My Accounts", select the tab "SSO". 3. 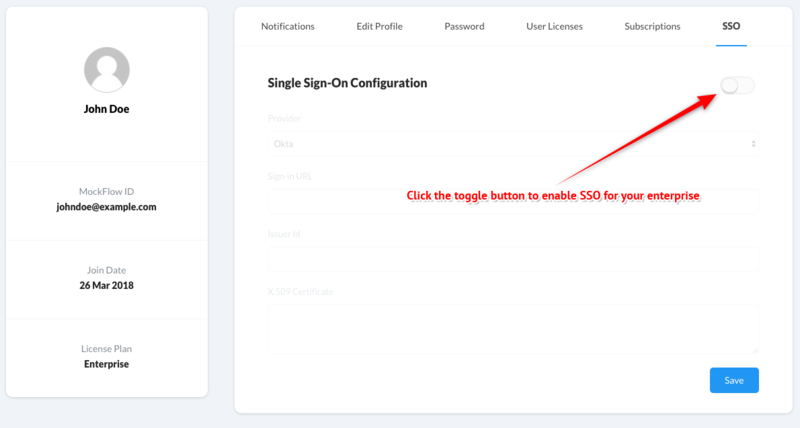 Click the toggle button to enable SSO. 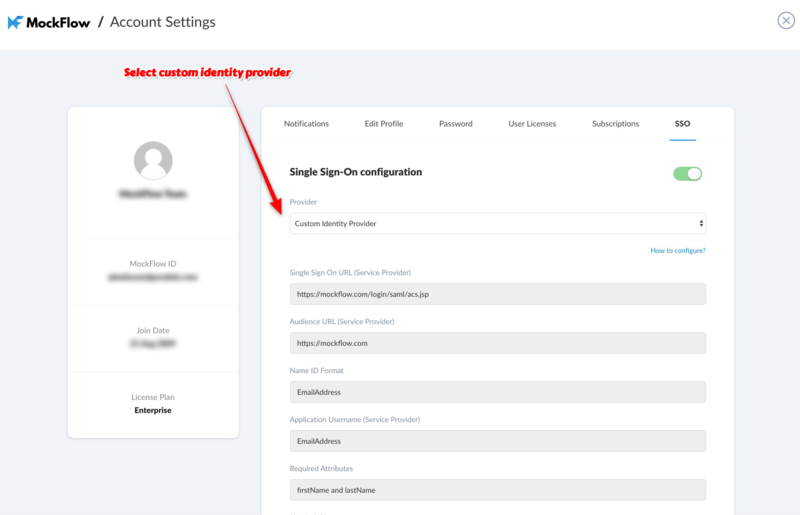 - Name ID Format - The Identity Provider should return the NameId format as an emailAddress. - Few providers require to set "nameIdentifierProbes" which is "http://schemas.xmlsoap.org/ws/2005/05/identity/claims/emailaddress"
- Attributes required by MockFlow are "firstName" and "lastName"
8. Paste the above data in MockFlow, My Accounts -> SSO tab under corresponding label. 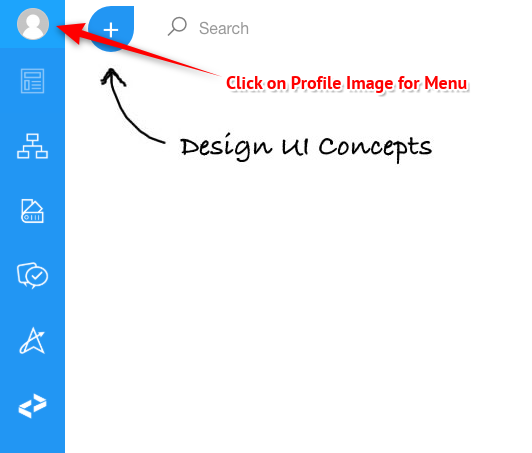 Press "Save" button to save all your entries. 1. 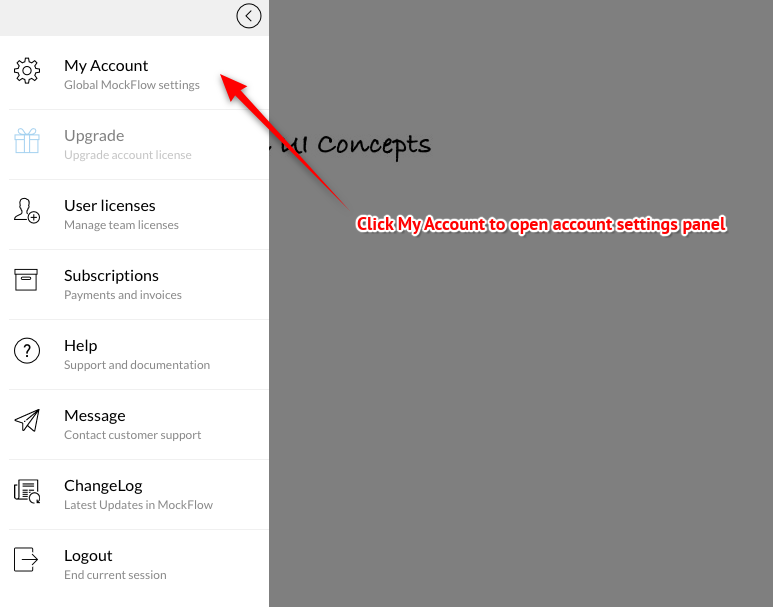 You can add the list of users to allow access into MockFlow in the same "My Accounts" panel. 2. Under the tab "User Licenses", enter the email of the users to provide them access. 3. You can also revoke the license when required.